Audioboom / Can Europe be saved from itself? Paul Mason ... Oxi, Oxi, No, No, the Greek people chanted in the summer of 2015 only for their government to then - perhaps inevitably - accept Europe’s demands for a brutal austerity and privatisation programme. Back in 2015 no British journalist followed these events more closely than Paul Mason, who has since become a high profile backer of Jeremy Corbyn’s leadership of the Labour Party. 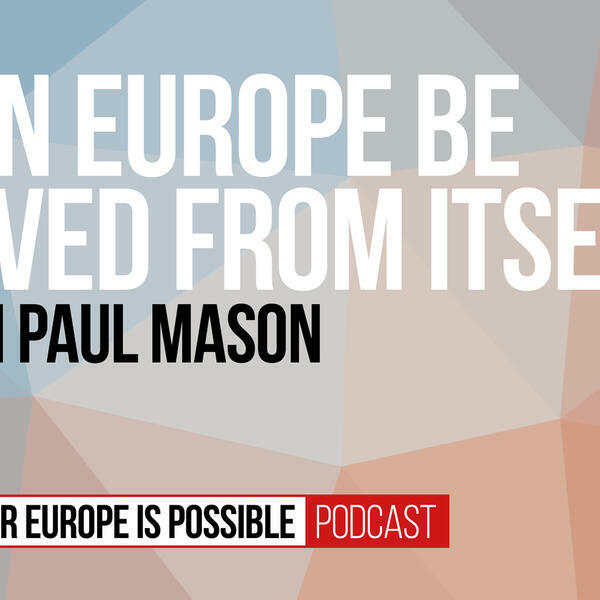 In this podcast we talk to him about Europe and the left, taking in some of the history of Europe’s disastrous turn to neoliberalism. We’ll also be looking at the tensions that exist between Britain’s Corbynistas and the Remain movement. Brexit and the economy: project fear or project fact?